Iron Man is a superhero and part of a group of heroes who united to form Avengers. He first appeared in Marvel Comics Tales Of Suspense #39 in March 1963 created by Stan Lee, Larry Lieber, Don Heck and Jack Kirby. Actor Robert Downey Jr. portrayed the hero in the box office hits Iron Man (2008), Iron Man 2 (2010), Iron Man 3 (2013), The Avengers (2012) and The Avengers 2 (2015). 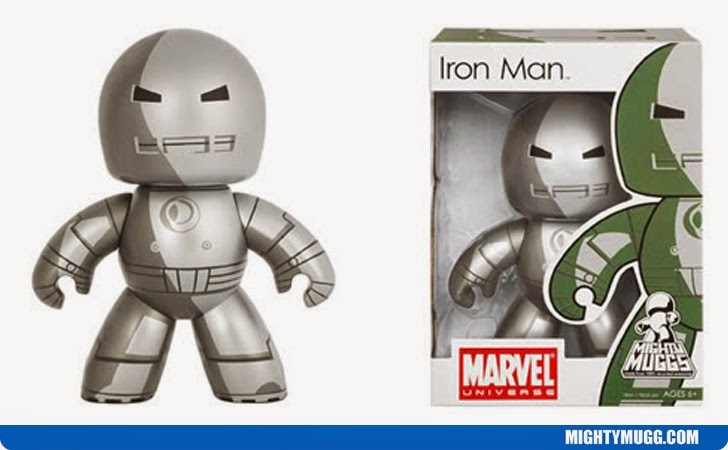 The Mighty Mugg above portrays Iron Man in his vintage silver armor.